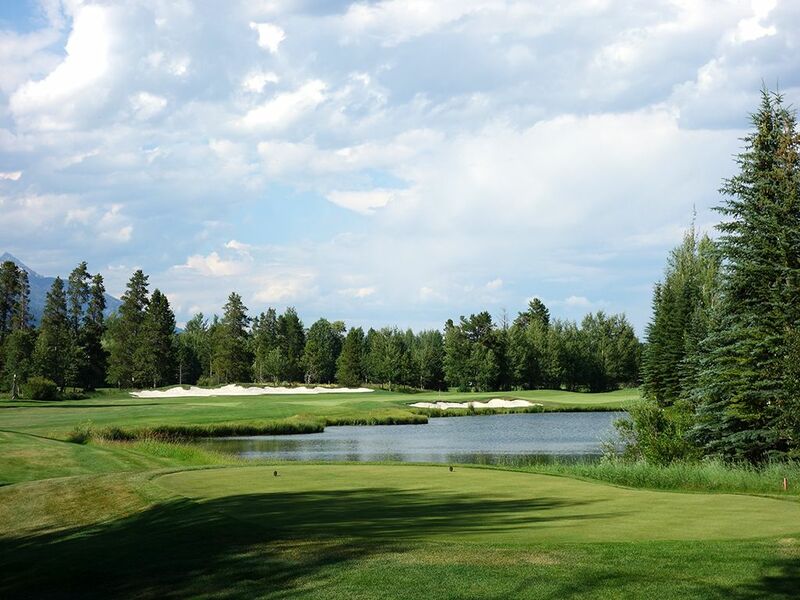 Course Website: Official Website - Visit Teton Pines Resort's official website by clicking on the link provided. 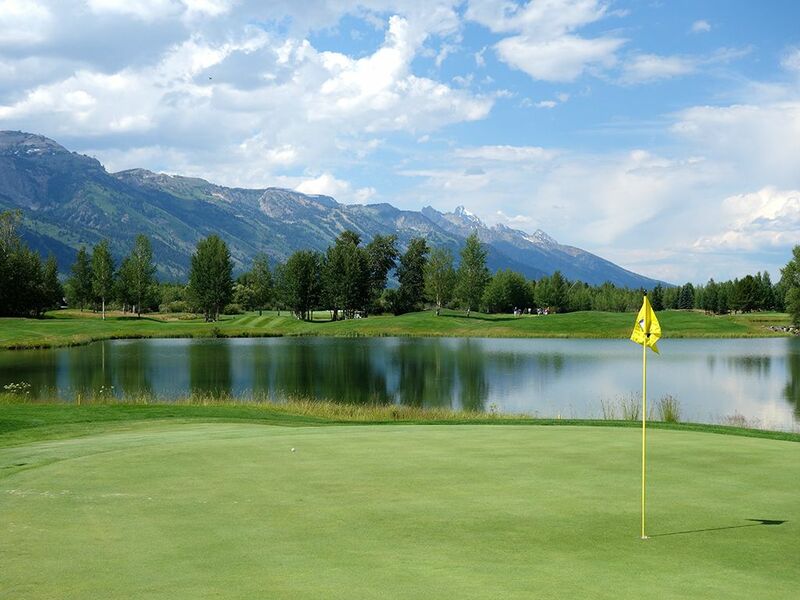 Accolades: Ranked 3rd in Wyoming on Golf Course Gurus' Best in State list. 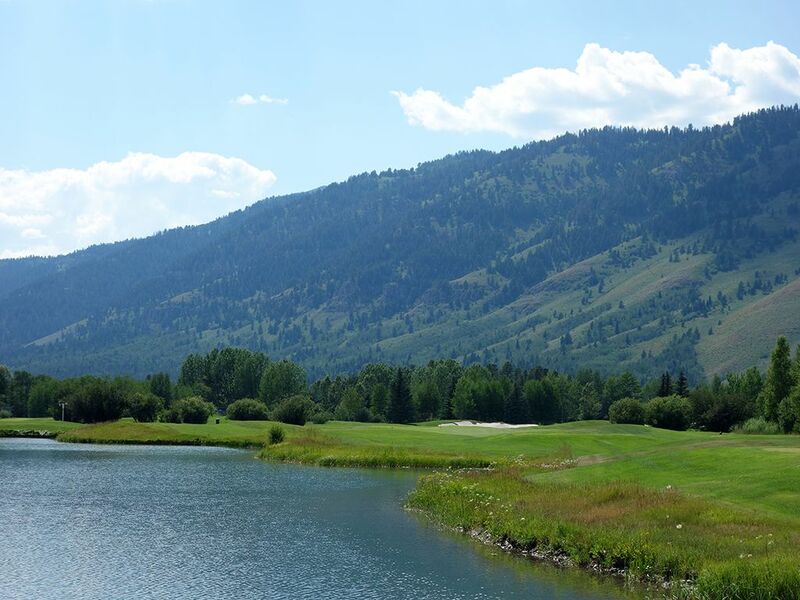 What to Expect: Teton Pines was the king of Jackson Hole for nearly 20 years before private courses started popping up in the playground of the super wealthy. 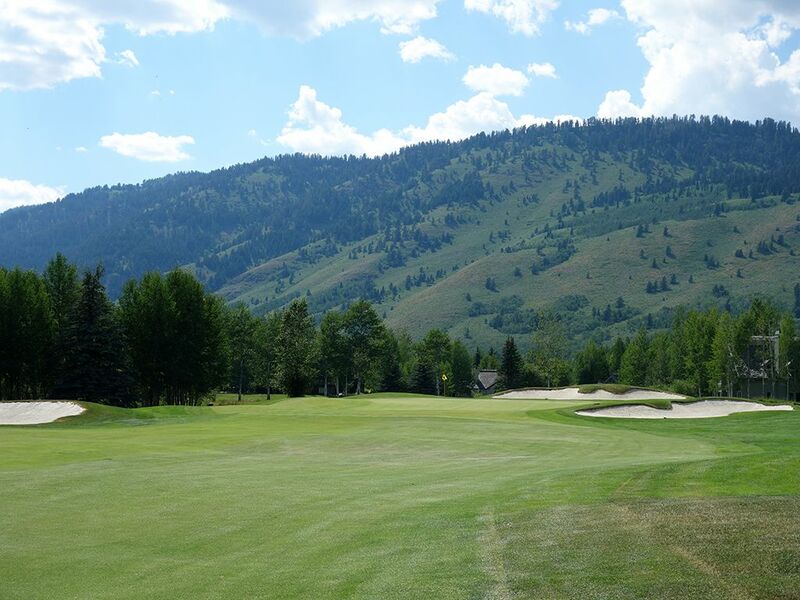 It may surprise many first-time visitors how flat the course is considering the impressive mountain surroundings that are so iconic in the Jackson area. The layout is characterized by strategic white-sand bunkers, character filled putting surfaces, and most notably, water hazards on a majority of the holes. In fact, the chance of you going the entire round without getting in the sand or water is extremely low. In classic Palmer fashion, the par fives are the backbone of the course and provide the most interest in the layout. A shot maker's course, careful consideration must be heeded on virtually every stroke before pulling the trigger to keep your score from ballooning unnecessarily. The design calls for plenty of drivers off the tee but an appropriate mix of holes where swinging for the fences isn't the most rewarding or prudent play. 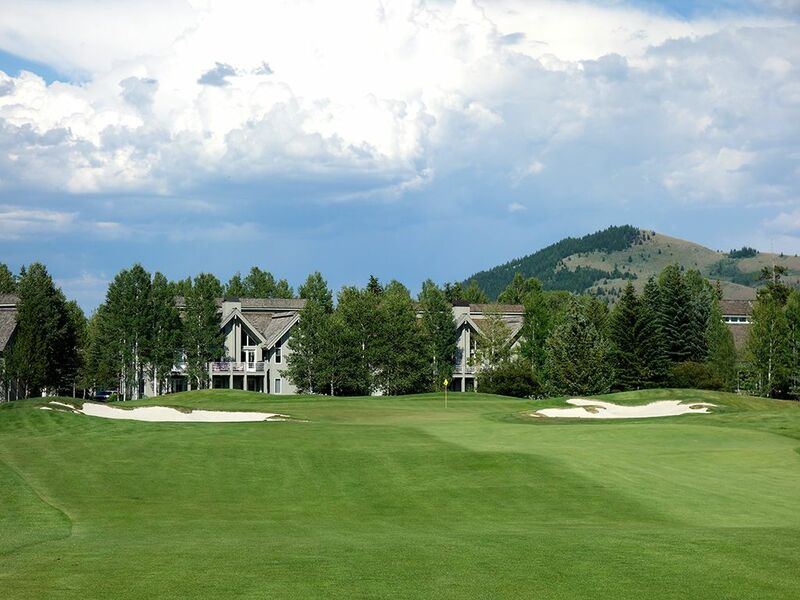 Course conditions are clearly a priority at Teton Pines with smooth, healthy putting surfaces and pristine fairways to hit from; a complement to the superintendent while dealing with an altitude over 6,000 feet. The modest driving range at the facility features flight restricted balls that help ensure they stay within the constricted boundaries dedicated to the warm up area. The course is an easy walk but the vast majority of patrons will ride on one of the carts included in the green fee. 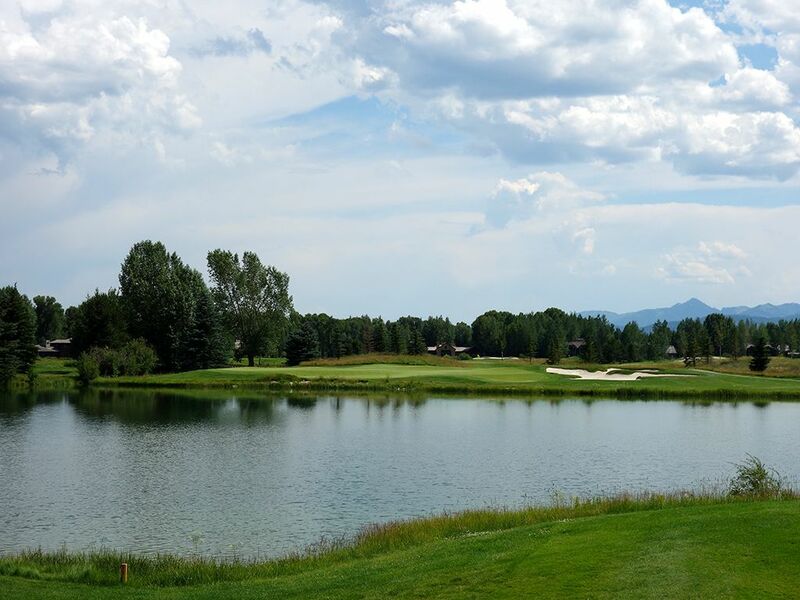 Signature Hole: 16th Hole – 202 Yard Par 3 – The signature 16th features three hazards; a pond in front, a bunker to the rear, and a stunning mountain backdrop that could be the most distracting hazard. Arnold Palmer was clearly going for flat out beauty on this par three as he put the Rocky Mountains on full display which can often also be seen in the reflection off the pond fronting the green. The green is wider than it is deep and there is room to miss left or right as long as you carry the water, so distance control is the biggest key. Unless you are in a tournament where your score really matters, just sit back and soak in one of the finest views in Jackson. 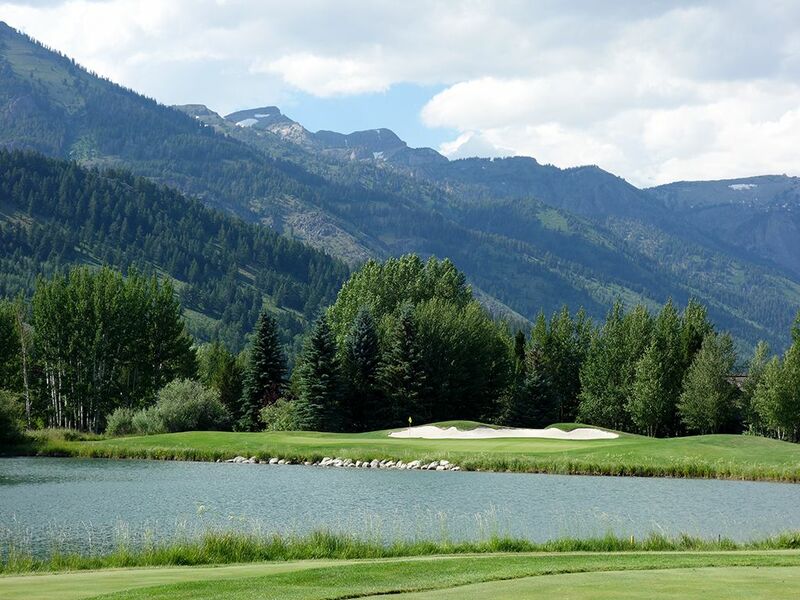 Best Par 3: 12th Hole – 221 Yards – Water coming into play is a coming theme at Teton Pines and you are forced to carry it again here on the 12th. A stout 221 yards from the tips, carrying the water isn't the only concern since holding the green from this distance can prove to be difficult as well. A bunker flanks the right side of the green which is the portion of the putting surface closest to the tee while shots coming into the left side need some extra umph to clear the water. 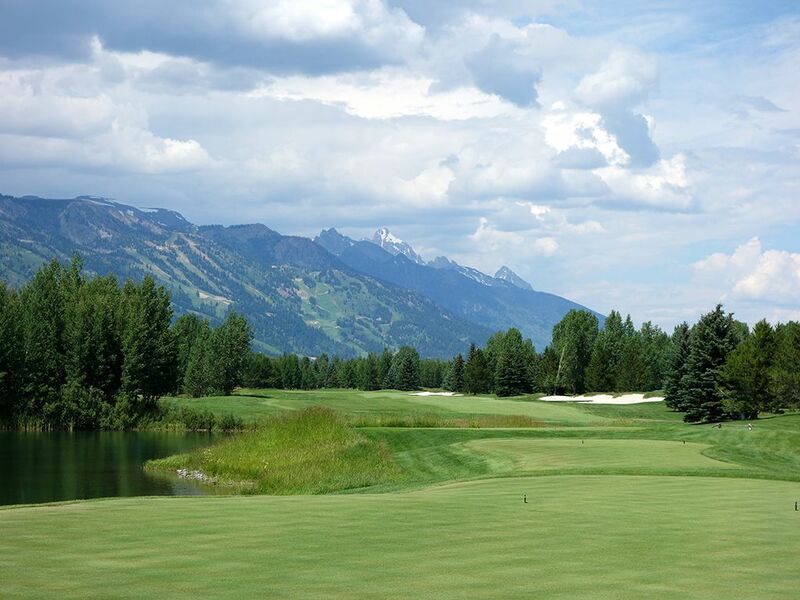 The view from the green back towards the tee yields a peak at the Teton mountains. 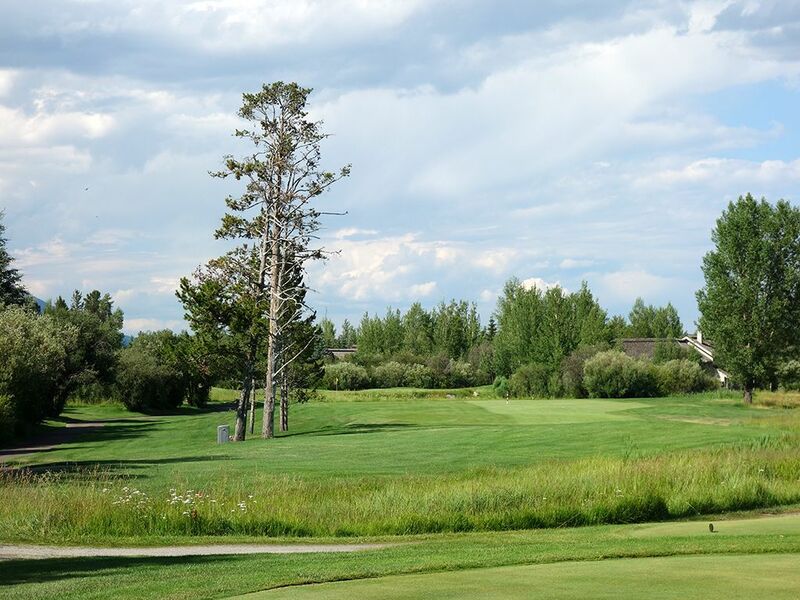 Best Par 4: 18th Hole – 472 Yards – An exceptional closing hole that is arguably the best in the state. This dogleg right features a pond on the inside corner as well as a pair of bunkers on either side of the driving zone. The safe tee shot plays towards the left edge of the far bunker while the aggressive play challenges the inside bunker with a heroic carry over the water and sand. The approach shot needs to thread between the bunkers protecting the front corners of the back to front sloped green. Putting from the back third to the front third of the green will yield plenty of three putts as it can be difficult to judge the severity of the slope on this speedy green. Best Par 5: 7th Hole – 634 Yards – A memorable hole from start to finish due to the quality design paired with exceptional views. Water comes into play along the left side of the hole virtually the entire time while evergreen trees set the boundary on the right. If you can avoid the large fairway bunker on the right, you can be more aggressive with your second shot although reaching the green takes serious length and ridiculous accuracy. The fairway tightens to less than ten yards leading into the green where only the right side is accessible on ground. If the pin is on the left side of the bunkerless peninsula green, players will be forced to carry the water enroute to the hole. You can guarantee that the pin is on the left third of the green on the final day of tournaments. Birdie Time: 17th Hole – 333 Yard Par 4 – The short 17th is a gift to your scorecard late in the round. 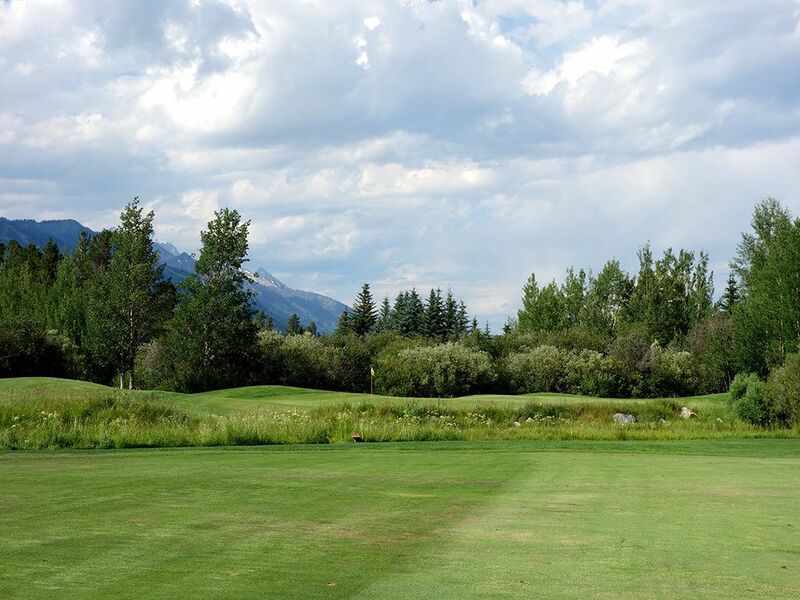 With the thin mountain air as your aid, you'll easily be able to put yourself in position to have a flip wedge into the green. A 250 yard tee shot keeps you short of the water that crosses in from the left and in front of the green. From there a smooth wedge shot into the bunkerless green is all that is required in order to yield a birdie putt and a great chance to take a stroke back. Bogey Beware: 13th Hole – 463 Yard Par 4 – At 463 yards, the 13th represents one of the longest par fours at Teton Pines and a formidable challenge to be sure. Water frames the left side of the hole early on before the fairway bends away and plays straight towards the mountain range. A bunker well short and left of the green acts as a decoy and can push players to the right where two additional lie in wait. The wind will be coming in from your left or right along the mountains the vast majority of the time so accuracy can be challenged on your approach shot here more than most greens.